To avoid toxin exposure and to decrease your present body burden use the following checklist to choose safer alternatives for a less toxic lifestyle. Avoid non-stick cookware. Use cast-iron, stainless steel, or glass whenever possible. Filter your water. This includes drinking and bathing water. Choose a reverse osmosis or activated carbon block filter sold at most water stores and Costco. 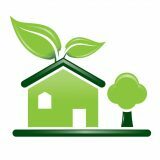 If your budget allows, purchase a filter for the entire home. Use a stainless steel or glass water bottle. Avoid plastic bottled water and reusable plastic bottles. Avoid Bisphenol A (BPA) found in canned foods. Most food cans (including liquid infant formula) are lined with BPA, which leaches into the food. Cook with fresh or frozen ingredients whenever possible. Buy grocery items in glass bottles if available or choose Eden Organic canned foods, a company who provides cans free of BPA. Use Non-toxic Cleaners – (nothing with a poison sign) Good brands include Seventh Generation, Nature Clean and Ecover. Avoid all high-mercury fish. High mercury fish includes: shark, swordfish, king mackerel, tuna, orange roughy, marlin, Chilean bass, lobster, halibut, and snapper. Low mercury fish includes: Clam, Ocean perch, Alaskan salmon, tilapia, founder, sole, catfish, Sardines, herring, and anchovies.Do not eat Farmed or Atlantic Salmon. Choose wild Alaskan salmon when available. Avoid all fish from the great lakes. Choose organic meat and dairy. This is especially important for butter and milk. Cut out the sugar. Sugar reduces the ability of your liver to clear toxic compounds out of the blood stream, in addition to the many other harmful effects it has on your body. Eat foods that support daily detoxification. Insert foods: Consume broccoli and other brassica vegetables, drink green tea and include brown rice bran fiber, and ground flax seed in your diet. Avoid the use of air fresheners. They contain a number of toxic chemicals that contaminate the air you breathe. Try pure essential oils instead. Choose non toxic personal care products. Avoid products that include “fragrance,” or “parfum”. Visit www.cosmeticdatabase.com to know which products are best. Choose natural toothpaste. Avoid fluoride for kids under 2 and teach older kids to rinse and spit; fluoride can be toxic if swallowed. Also, choose a paste without triclosan – you’ll see it on the ingredient list. Avoid anti-bacterial hand soap. Triclosan is toxic and may be labeled as: Microban, Biofresh, Irgasan DP 300, Lexol 300, Ster-Zac, Cloxifermolum, 5-chloro-2-(2,4-dichlorophenoxy)phenol. Use a fabric shower curtain. Avoid vinyl or plastic shower curtains. Choose fabric, hemp or organic cotton. 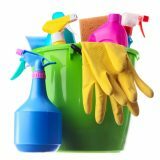 Choose green and non-toxic cleaning agents. Most products will not have all ingredients listed – call the manufacturer for a complete ingredient list. Support the companies that do disclose all ingredients. Use fewer cleaning products. Most homes can be safely cleaned with a few non-toxic ingredients such as vinegar (it’s anti-bacterial), baking soda, water, microfiber mops and cloths – and some elbow grease! Avoid scented laundry products. Use dryer balls instead of dryer sheets. Avoid fabric softener, and chlorine bleach. Use non-toxic laundry soap. Borax works well. Avoid Dry Cleaning. If you do dry-clean, allow the garment to air outside of the home for one week or at the very least your garage or room least visited by the family. Avoid fire retardants. Foam products (like stuffed furniture and mattresses) are often treated with toxic fire retardants, so keep them well-covered. Ask whether a product is treated before you buy and choose naturally fire-resistant materials like hemp, cotton and wool, when possible. Buy electronics that are free of fire retardants. Consider replacing your carpet. If your budget allows, opt for tile or stone. Avoid StainMaster or ScotchGuard. Don’t “protect” your fabrics and carpets with sprayed on chemical coatings – simply clean spills quickly. Be cautious with compact fluorescent light bulbs (CFLs) These bulbs contain mercury and should be handled and disposed of with care. Use them where there’s no danger of breaking near children and clean up broken bulbs quickly and safely. Do you have a wood deck, picnic table or playground set? Those made before 2005 likely contain arsenic. Test to confirm and either replace with safer wood or reduce your exposure by sealing it, replacing high-use areas and washing hands after touching and especially before eating. Invest in a good quality air purifier. The best on the market are IQAir, Austin Air and Blue Air. Make sure you get one with enough CFM (cubic feet of air purified each minute) to clear the air in the room at least once every 30 minutes. Avoid Cigarette smoke. Do not allow anyone to smoke indoors. Avoid any second hand smoke. Replace furnace filters regularly. Replace every 6 wks with high quality pleated filters (rated MERV 7-9). Use a HEPA vacuum cleaner. This will effectively remove dust and clean the air in your home. Have your ductwork cleaned. This is most important if you’ve moved into a new home. This will reduce the amount of toxic dust. Take your shoes off. Do not wear outdoor shoes indoors. Rice bran fiber (found naturally in brown rice). It’s low cost, yummy, and easy to make and consume. Multiple studies have shown that brown rice fiber that show increases the amount of very nasty toxins moving into the toilet. If you don’t want to eat brown rice daily, then begin taking a fiber product with rice bran fiber in it. Green veggies. The darker the green color, the higher the chlorophyll content and the more toxins it will help to dump into the toilet. Green tea. Drink three Venti-sized cups of green tea daily to boost the amount of toxins hitting the toilet. So, by doing these very simple things—avoiding the most common toxin exposure and increasing the amount of toxic material leaving your body every day—you will soon tip the scales back towards greater health.